Gift giving is difficult—go too general, and you look like you picked your gift off of Amazon's recommendation page, but target your loved one's hobbies, and you risk buying them something they already have. There is, however, a gift transcends interests and hobbies and personality types: Amazing maps from the 19th century. The US government began its census in 1790, long before our present-day United States were established—and it's been analyzing and depicting the results of the data nearly as long. Most of those maps and visualizations are kept within the Library of Congress, and though they're not difficult to access, the process of sizing and printing them for framing is a huge pain—as Brooklyn-based designer named Jonathan Soma recently found out. Soma runs a site called the Handsome Atlas, a fascinating ode to something called the Statistical Atlas. 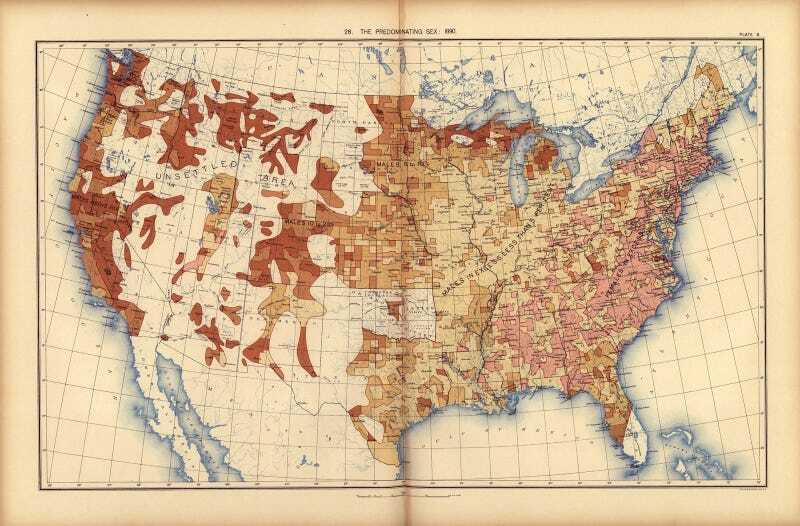 Beginning in 1874, the US published a "Statistical Atlas" laying out the data it had collected from the 1870 census, using visualization techniques that were flourishing as the Industrial Revolution spurred the need for new ways to understand vast amounts of data. On his site, Soma collects and highlights the most fascinating maps and images from the Statistical Atlases of 1870, 1880, and 1890. It was a fantastic project, but Soma ran into problems when he went to print some of the old documents for hanging. "After fighting tooth and nail to make some prints for our walls, we thought hey, that was a horrible terrible way-too-hard experience, let's make it easy for everyone else!," he writes. Enter Vintage Visualizations: A stand-alone site where you can browse and buy hundreds of maps and visualizations from these historic atlases.